A friend who knew Michael Jackson for 40 years says on the tapes played by prosecutors in the manslaughter trial of Dr. Conrad Murray - the physician charged in the singer's death - that Jackson's brokenness over his lost childhood and fame is evident. Author J. Randy Taraborelli, who authored the biography "Michael Jackson: The Magic, the Madness, the Whole Story," said on "The Early Show," "There will always be unanswered questions about Michael Jackson's life and times, but what we now know from this tape is that he really was a man who was tormented by a childhood that, you know, he felt he never had." On the tape, Jackson's voice can be heard telling Murray about plans to build a hospital for children with the proceeds from his planned comeback tour. "I love them," he says, his voice slurred. "I love them because I didn't have a childhood. I had no childhood. I feel their pain. I feel their hurt...I hurt, you know, I hurt." Taraborelli said, "You know, we have seen this in a lot of celebrities over the years, fame corrupts, and it ruins a child's sense of self, but never more so, I think, than in the case of Michael Jackson." Prosecutors say just six weeks before Jackson died, Murray used his iPhone to make the audio recording of the pop star. Murray is accused of giving Jackson the powerful sedative propofol to help him sleep. The drug is what ultimately killed the singer, CBS News correspondent Ben Tracy reported. Taraborelli called the taped conversations "devastating" to hear. He said, "While many people over the years may have felt that Michael was exaggerating this narrative of a lost childhood for maybe the purposes of publicity or career advancement, I think that we see now that, even in this highly intoxicated state, it really was the main focus of his life - the pain and the hurt that he felt at not having a childhood." The taped conversations also raised alarm for Taraborelli about Murray's care of the singer. He said, "Any thinking person, you know, who is a friend of Michael's, who had heard him in this condition would have immediately rushed this man to a hospital for treatment. And I find it very disturbing personally that Conrad Murray was listening to Michael Jackson in this state and instead of, you know, throwing him in the back seat of his car and taking him to a hospital, he is tape-recording the conversation. I just don't know what to make of that." 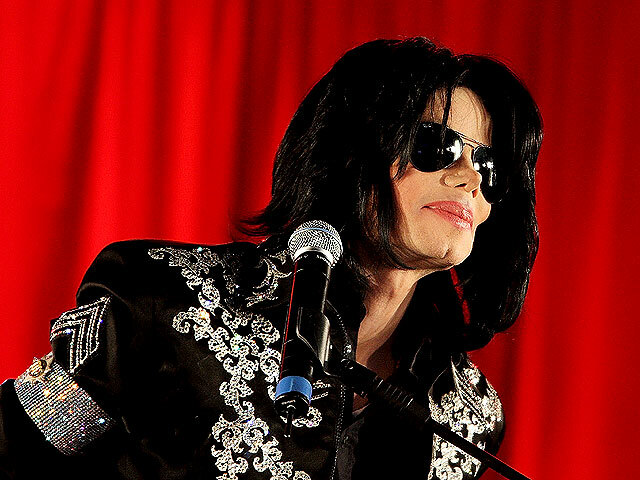 When asked by "Early Show" co-anchor Chris Wragge if he knew Jackson was on any drugs around the time of his death, Taraborelli said, "Well, you know, Michael Jackson was managing many different illnesses. The way I looked at it, Chris, was that he was doing his best to manage, you know, a myriad of problems of health issues. Michael Jackson never took drugs to get high. Michael was being treated by doctors, obviously, in this case very, you know, poorly treated, to handle a variety of problems." In court, prosecutors also played a phone call from Jackson's then-manager Frank DiLeo to Dr. Murray five days before the singer's death. DiLeo, concerned about Jackson, can be heard saying, "He's sick. ... I think you need to get a blood test on him. We need to see what he's doing." But did Taraborelli have concerns himself about Jackson's health? Taraborelli told Wragge, "I have to say, I really did not." Taraborelli says he also questions the reasons behind Dr. Murray's recordings of the pop star. He said on "The Early Show," "One of (Murray's) attorneys last week said that possibly he was taping the conversation so he could later play it back for Michael Jackson to show him, you know, how bad of shape he was in. But I find that ridiculous. I just don't think there is any excuse or explanation for taping this conversation. Not only that, it's illegal to tape a conversation without the other party knowing about it. But that is beside the point now. I think the bigger question is why didn't he take him immediately to a hospital for treatment?"